Shopping can be termed as a very sacred ritual if we’re being frank. Going through tons of stores to pick the one that describes your taste better than the rest is a victory in itself but investing hours every week to skim through stores to find the perfect brand for yourself is not only exhausting but time consuming as well. Hennes&Mauritz have been around for more thansix decades but they weren’t well known before the year 2000. Setting up their first store in New York soon after the Swedish retailers have made their brand into a one stop shop. The collection of tops, blouses and shirts is exquisite ranging from casual tees to formal laced up shirts you can wear for a formal lunch or a cool photo shoot. H&M is a great online store to shop from if you’re on a budget and need something cute for a casual movie night or if you want to buy something a little fancy for a date, they’ve got it all! Bringing the street style near you, this UK based online clothing brand has done wonders for itself in the past few years. From Kendall Jenner to Beyoncé, all celebrities seem to love the nonchalant and creative designs of brand. Top Shop offers their wide range of T shirts and they all have a very similar theme, comfort. The baggy vintage look makes them even more attractive and the minimalistic designs are something you can’t look away from easily. At Top Shop, you’ll always find something to love and the best part is that the store not only has diversity in terms of the models it chooses to photograph but also in their sizes. If you’re petite or plus size, they’ve got all sizes ready. If you’ve got that perfect summer beach body and really want to show off those abs and flat stomach, crop tops are your best friend. Sophie and Trey is one of the online clothing stores that have a huge collection of affordable and tops. Whether you want a simple style, a basic print or a glamorous one, this store seems to have it all. Apart from crop tops, you can find yourself matching shorts and a wide range of denims to pair your tops up with. The store offers their clothes at reasonable prices that make it easy for you to afford. For high quality tops and Tees, J.Crew is definitely your one stop destination. Playing their part in spreading love and awareness for all ethnic groups, J.Crew has outdone itself in the clothes department. The store offers a very chic style and aesthetic no matter what top you pick. From casual summer “I’m hanging out with my friends” tees to the dope “don’t touch me, I’m famous” ones, the store has it all. There’s a wide variety to choose from when it comes to color, design, fabric and quality. 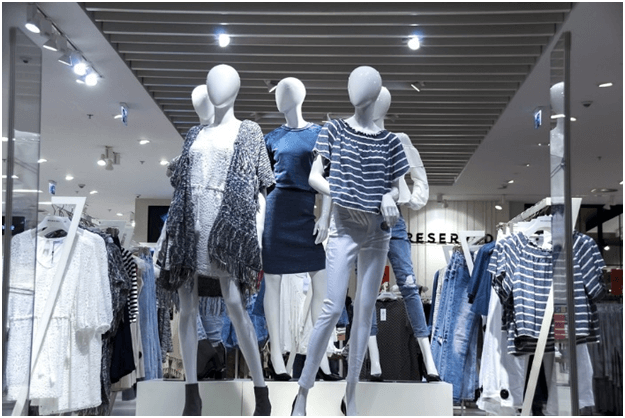 The brand also offers weekly catalogues and color palettes to show you exactly how you can style the clothes you bought and show them off in different ways. They also have all types of accessories that you can use to style your tops with and bring out the diva within you. The brainchild of the creators behind J. Crew, Madewell has seen some of its most successful sales since 2006, the year it was founded. For very warm toned vibes of a tough Lara Croft fan, Madewell is the perfect store to fulfill all your tom body needs. From buttoned downs to sweatshirts, this store offers you a wide variety in not only fabric and colors but also their intricate designs. The store offers the buyers a lot of options to choose from when it comes to choosing the right size and offers the same variety for plus size and petite girls. An ultimate jackpot for girls who want to look more free and casual, to strut off their cool vibe, Madewell is definitely going to give other brands a run for their money. The best thing about Madewell is that they ship internationally as well and give you the option to send the cute tops as gifts to family and friends who live abroad. So if you’re in some far off part of Asia or up in Norway, you can count on Madewell to get you the goods.